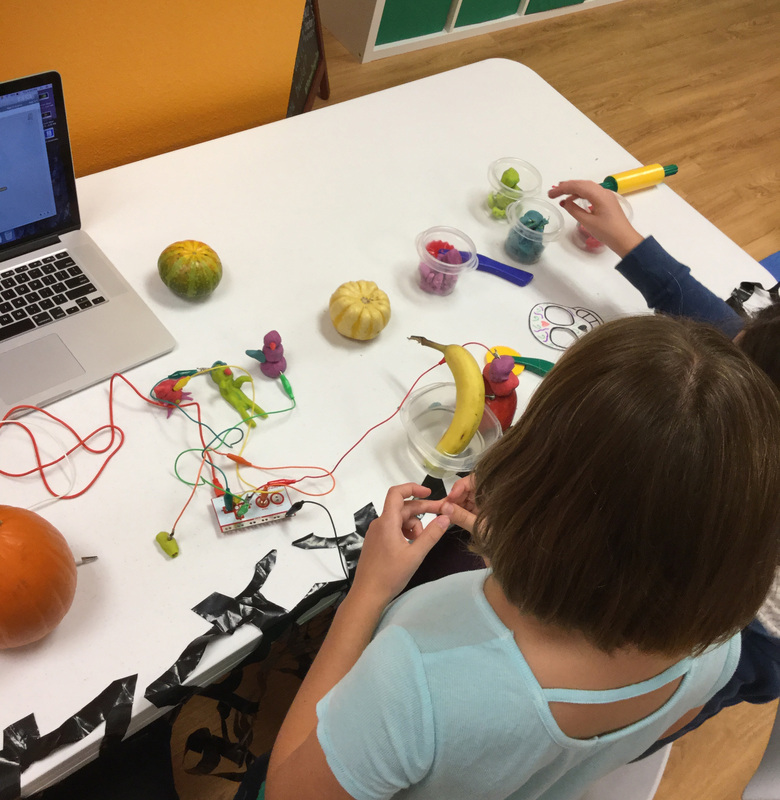 We were inspired by NYSCI's Makerspace at our January 2017 program, Design Den: Stories. Check out this awesome animation that visitors helped us create! 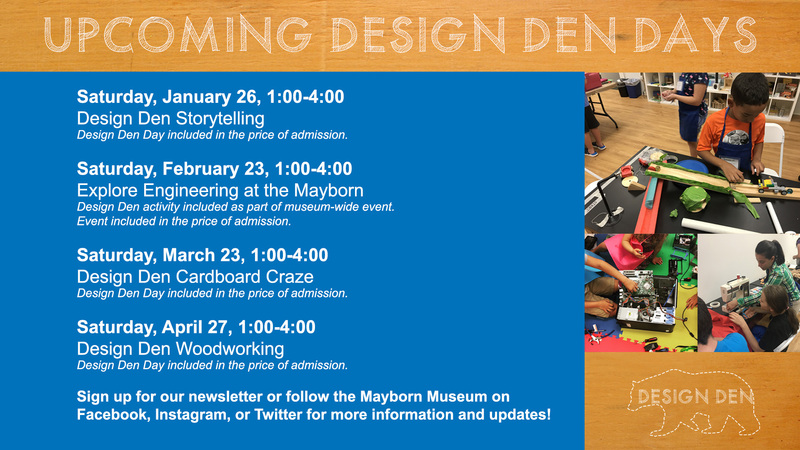 Design Den is the Mayborn Museum’s exhibit space focused on making and tinkering using science, art, and technology. In this new learning environment, we urge our visitors to slow down and engage in the act of creating. We welcome exploration, curiosity, experimentation, and innovation from visitors of all ages! Each day in Design Den, visitors can use materials to build from their imagination. They can create a winding rollercoaster or build a towering skyscraper! 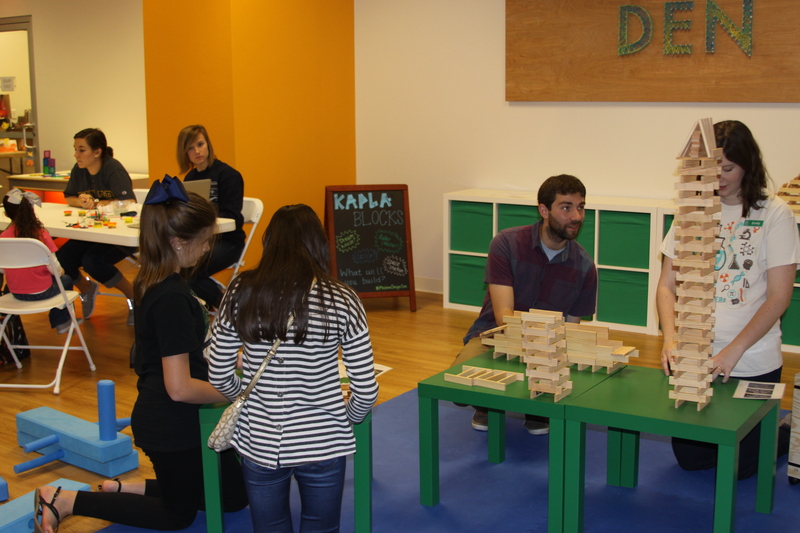 During special Design Den programs, we invite participants to engage in an atmosphere of collaboration and creativity. Visitors may use a variety of materials, some that they may recognize and some that may be new. In Design Den, we love to make mistakes! In fact, we embrace mistakes and failure. After all, that’s the best way to improve a creation.